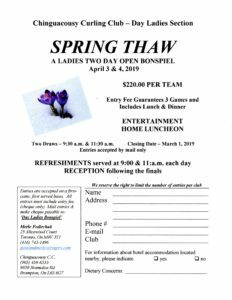 Perth Curling Club, 33 Beckwith St. E.
Perth Curling Club – 33 Beckwith Street East, Perth Phone: 613-267-2913 Annual Ladies Invitational“Black & White” Bonspiel Wednesday, March 20, 2019 Entry Fee: $160 per team – one 8-end game and one 6-end game. Cash Prizes. 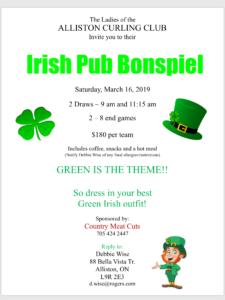 Includes morning coffee, muffins and fruit breads, along with a delicious lunch & dinner Contact Kathy Smallwood at [email protected] for entry form. 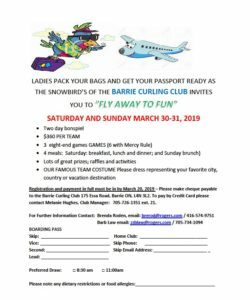 Tel: 905-251-4915 Entry form and fee required no later than February 15, 2019. 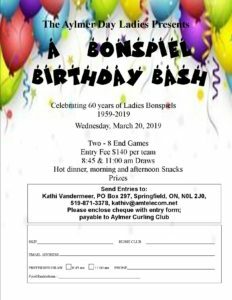 Celebrating 60 years of Ladies Bonspiels at the Aylmer Curling Club on Wed March 20, 2019. Two - 8 end games with hot dinner between. Morning and afternoon snacks. Entry fee $140 per team. Contact Kathi Vandermeer for details. [email protected] or 519-871-3378. 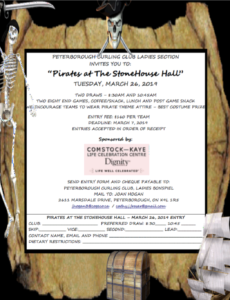 Pirates at the StoneHouse Hall. 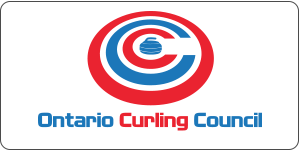 $160 registration fee includes two draws with two eight end games, coffee/snack, lunch and post game snack. We encourage teams to wear Pirate theme attire. Prize for Best Costume. 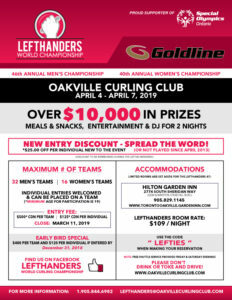 The 46th Men's and 40th Annual Women's Lefthanders Championship will be held at the Oakville Curling Club April 4-7, 2019. It's a gathering of Lefties and Leftie Wannabes for great food, fun, dancing and a curling world championship too! 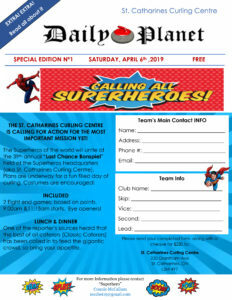 St. Catharines Curling Centre, 220 Grantham Ave.
39th Annual Last Chance Bonspiel Theme: "Calling all Superheroes" Included: 2 Eight-end Games (start times: 9:00 & 11:15 am) Bonspiel results based on points Eye Openers, Lunch & Dinner Costumes Encouraged!